Bringing people together, whether face-to-face or for a virtual meeting, has a real cost. Time wasted in unproductive meetings saps morale and prevents participants from fulfilling their other responsibilities. A professional facilitator can help the group accomplish more in less time, eliminating the need for multiple meetings, and generating forward momentum on the issues under discussion. 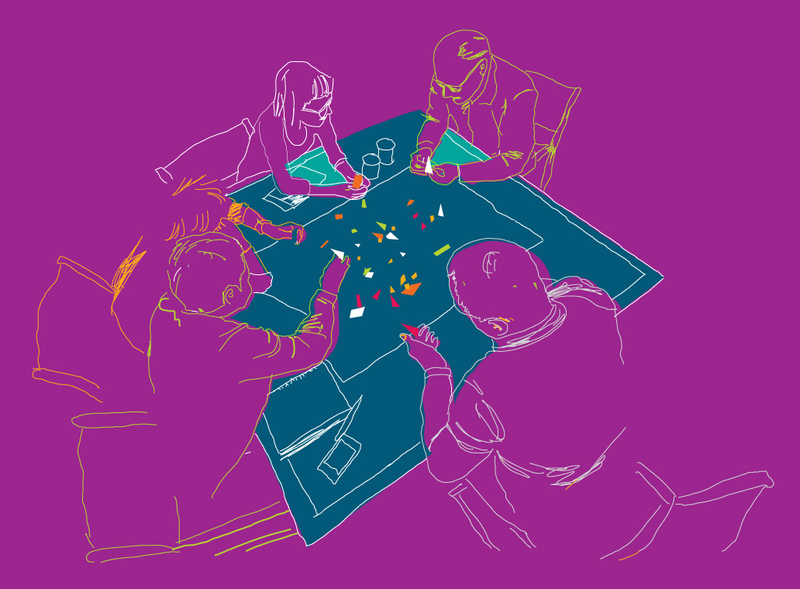 A good facilitator encourages the participation of all, while managing the tendency for some members of the group to dominate the conversation. They create the conditions that support the contribution of those who traditionally say very little and of those whose views diverge from those of the leader or the majority. Full participation, combined with respectful listening, gives the group a more complete understanding of the points of view in the room and a better chance of reaching a sustainable decision. Dynamic discussions can produce a lot of information and ideas. Without taking sides, the facilitator can summarize the various statements in ways that respect all the different voices and help the group identify areas of agreement and issues that are still unresolved. After eliciting the full spectrum of views and welcoming strong opinions, the facilitator encourages the group to generate previously unconsidered, creative solutions that can resolve apparent differences. The group is then able to craft agreements that all members can support and move forward with a sense of shared ownership. It may be difficult to quantify the benefits and track the impacts of professional facilitation. For further examples, you may be inspired by the results reported by the recipients of the IAF's Facilitation Impact Awards. Below you will also find a series of videos that further describe some of the impacts of professional facilitation. IAF member Jim Rankin describes how the success of an initial facilitated intervention on centralizing local work scheduling led to management's commitment to the formation of a core of full-time facilitators. Jim also highlights the use of a "pull strategy" approach, which led to addressing 117 issues with 300 employees directly involved. Some of the results included: changes in local work scheduling from 60+ locations to 8 central locations; 43% of contractors citing improvement in the service provided by the centres; 88% of schedulers cited increased confidence in their new role; and heavy equipment utilization increases from 28% to 92% resulting in significantly higher productivity due to a drop in wait times. Jim Rankin is Director of Organizational Alignment at Hydro One, is an IAF CertifiedTM Professional Facilitator (CPF) and has over 20 years of facilitation experience with large organizations around the world. The video was created during an event held in Toronto, Canada for International Facilitation Week 2013. In the video, IAF member John Miller talks about his experience using facilitation to develop a gold standard government policy that received accolades from all sides of the issue and all sides of the political spectrum. John is a Principal of ICA Associates Inc., an IAF CertifiedTM Professional Facilitator (CPF) and a Technology of Participation (ToP) trainer based in Toronto, Canada. John has a considerable range of experience: from grass-roots community development to consulting in the private sector; from information technology to religion; from advisory groups to all three levels of government in Canada. The video was developed during an event held in Toronto, Canada for International Facilitation Week 2013. In the video, Carolyn Acker, past Director of Regent Park Community Health Centre in Toronto, Canada, talks about how facilitated focus groups enabled a struggling community to come together, identify and confront obstacles, and identify interventions that reduced school dropout rates. Carolyn Acker is the Founding CEO of Pathways to Education Canada and member of the Order of Canada. The video is a part of a series developed during an event held in Toronto, Canada for International Facilitation Week 2013.